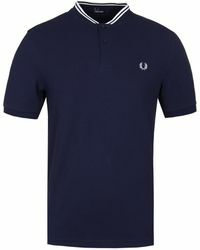 A true staple representing British fashion, Fred Perry embodies the ethos of heritage and craftsmanship. 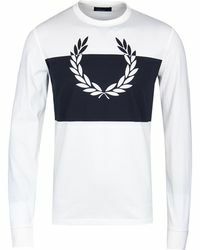 Fusing sportswear with hip streetwear the Fred Perry label sources its inspirations from the youth culture and what is happening out in the world on the streets. 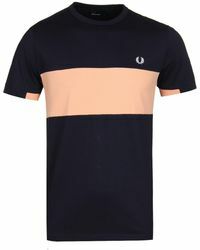 When searching through the vast selection of Fred Perry T-shirts one can expect to find an abundance of printed T-shirts, crew necks and stripes. Despite its eclectic make-up there's one thing that never changes 'the label's dedication to stylish wares. 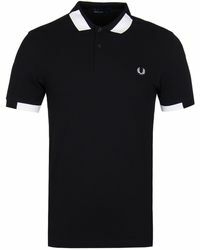 Simplicity goes a long way when it comes to any Fred Perry design. Successfully blending streetwear with sportswear the iconic brand has been a staple since its humble beginnings in the 40s when former Austrian footballer Tibby Wegner and Wimbledon champion Fred Perry combined creative forces. 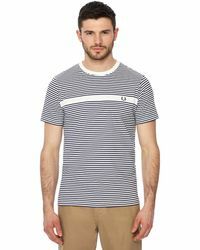 While the brand continues to generate innovative concepts it's the T-shirt that remains at the forefront. 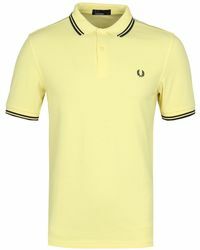 With its Laurel Wreath logo and comfortable coolness the Fred Perry T-shirts have transgressed throughout history and have been associated with the most notable modern day subcultures such as the Mods, rude boys, skinheads and two tones.